Tall in stature and charming in mannerism, Park Seo Joon is not a new face in the Korean acting industry. However, this 28-year-old actor from Seoul, South Korea has recently been booming in popularity, especially after his leading roles in the recent dramas Hwarang and Fight For My Way. Park made his entertainment debut in 2011 when he appeared in the music video for singer Bang Yong Guk’s single, “I Remember.” In the video, he plays the boyfriend in a turbulent relationship and is put in a dangerous situation to save the one he loves. Park portrays such raw emotion throughout, leaving a strong impression on the viewer and displaying his acting skills very early on. He is able to convey an intensity that gives him the image of a violent partner, while also conveying the tenderness of a lover, all in under five minutes. He landed his first role in a drama in 2012, playing the character of Si-Woo, a member of boy band Eden, in Dream High 2. As if he weren’t talented enough, he showcases his dancing and singing abilities in addition to his acting. And let me tell you, not only can Park sing and dance, but he can actually rock the stage like a natural performer. From there, Park went on to land roles in more dramas like A Word From Warm Heart and A Witch’s Love. However, 2015 proved to be his big year as he landed major roles in Kill Me, Heal Me and She Was Pretty, jumping from second male lead to leading man within a year in two very popular dramas. Park Seo Joon’s popularity skyrocketed as drama viewers everywhere fell in love with him. And it’s easy to see why. Not only does Park have an attractive face and physique, he also possesses a kind and down-to-earth personality, which is made obvious through his interactions with costars and fans. He has a unique ability to create irresistible chemistry with any and all of his costars, making viewers fall in love with and wanting more of the on-screen couple. His acting received such praise that he won the 2015 Excellent Actor in a Miniseries award for his roles in Kill Me, Heal Me and She Was Pretty. He also held his first ever fan meet in 2015 and it sold out in a minute! As stated before, Park is known for his high fashion and great visuals, evidenced by his Instagram posts. So much so that he became the first Asian male to model for Tommy Hilfiger — I can’t think of a better fit for the job. With his height and his clean, polished look, Park exudes a charisma that turns heads, no matter where he goes. This year so far has also been another big year for Park, as his popularity saw yet another increase. This was largely due to his work in highly popular dramas Hwarang and most recently, Fight For My Way. In Hwarang, he played a skilled warrior seeking revenge for his friend’s death, and in Fight For My Way, he played a laid-back Taekwondo athlete trying to figure out his career as well as his love life. His ability to deliver and sell these two contrasting roles is an amazing feat that only those who are truly skilled can accomplish, contributing to the shows’ popularity. It is what makes him such a versatile actor and demonstrates the level of artistry he has as an actor. Park’s most recent work is his starring role in the movie Midnight Runners, an action-comedy that was released just this past August. In the film, Park stars alongside Kang Ha-neul and they play students at the Korean National Police University. The film was very well received by viewers, once again exhibiting Park’s uncanny ability to capture the attention of his audience. And did I mention that this boy can sing? He has sung several OST’s for the dramas that he has starred in, including Witch’s Romance, Kill Me, Heal Me, She Was Pretty, and Hwarang. His soothing voice reflects his down-to-earth personality and gives fans all the feels. Park Seo Joon is truly a man of many talents. Being Park’s fan is a job filled with excitement as he is always leaving us pleasantly surprised. With all that he’s accomplished so far, we can’t wait to see what else this beloved and charming actor has up his sleeve. 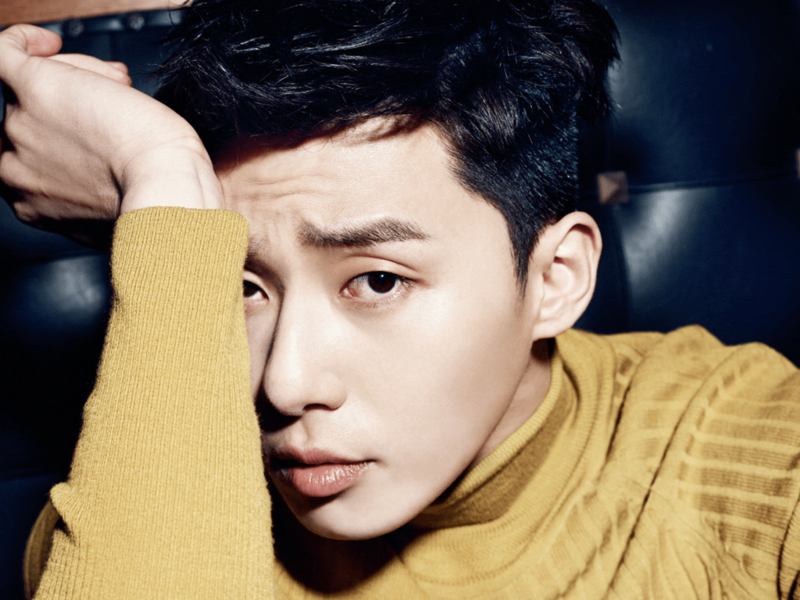 Have you watched any dramas with Park Seo Joon? Which one is your favorite? Share your thoughts in the comment section below and be sure to subscribe to the site and follow us on Facebook, Twitter, Instagram, and Tumblr to keep up with all of our posts.